The Church of Our Lady of the Immaculate Conception, first built by Franciscan parish priest Fr. Antonio de la Llave in 1608 and enlarged in 1672 by Fr. Miguel Perciva with the addition of 2 wings (giving the church the form of a cross). It was improved in 1850 by Fr. Juan Antonio Marzo who built the principal nave and convent and remodeled the 5 altars. 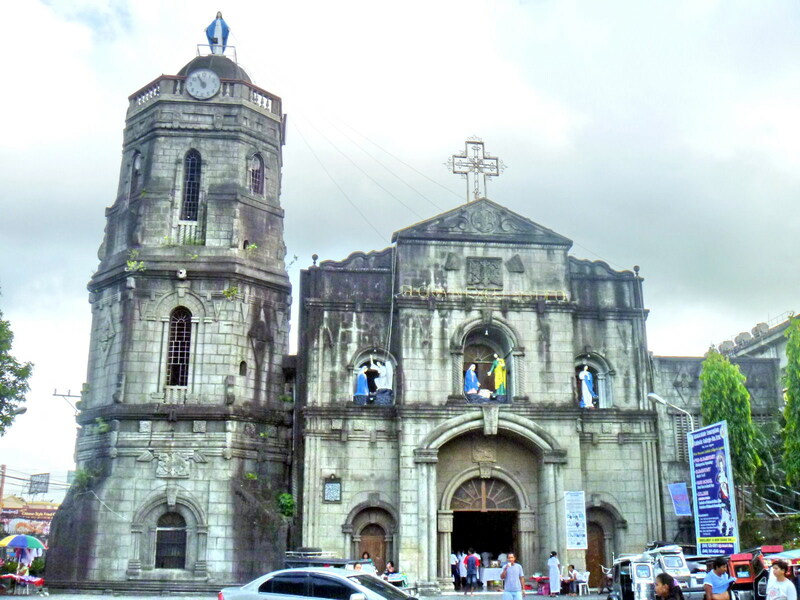 The church was destroyed during the July 18, 1880 earthquake and was reconstructed by Fr. Antonio Martin de Vidales in 1881 (assisted by Filipino Fr. Gregorio Ercilla, his coadjutor). On January 26, 1945, during the liberation in World War II, the church was partly destroyed by fire, leaving only the walls and stairs of the convent. The present church, a reconstruction in 1948 (through the initiative of Fr. Mariano O. Limjuco), now has an Early Renaissance facade with a pair of large pilasters supporting a plain pediment. Inside is a bas-relief of the Stations of the Cross, a main altar with a stained glass rendition of the Blessed Mother and the apostle John watching over the crucified Jesus Christ and stained glass depictions of the Joyful and Glorious Mysteries. On its left is its heavy, massive 3-storey bell tower topped by dome. 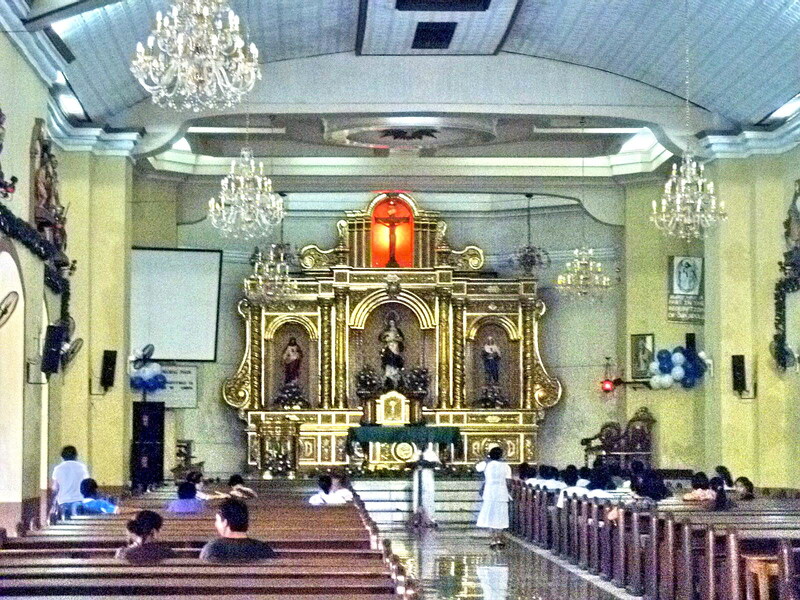 Church of Our Lady of the Immaculate Conception: Pedro Guevarra Ave., Brgy. Poblacion, Santa Cruz 4009, Laguna. Tel: (049) 537-0211. This entry was posted in Churches, Laguna, Philippines, Republic of the by Benjie Layug. Bookmark the permalink.